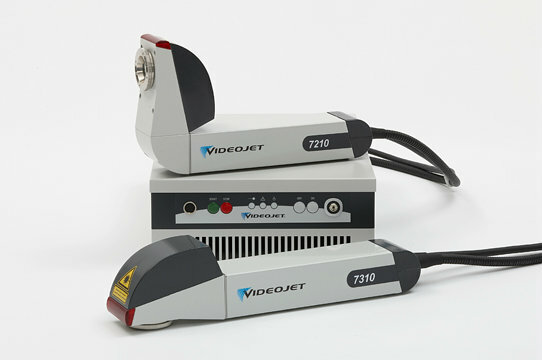 The Videojet 7210 and 7310 are 10 Watt and 20 Watt pulsed ﬁber lasers respectively. They are some of the most compact, versatile and low maintenance solid-state marking systems available. The 7210 and 7310 have been designed for direct parts marking and unique identiﬁcation applications on metals, plastics and other hard to mark materials in the aerospace, automotive, electronics, medical devices and tools markets.